These synthetic opioids are highly addictive and potentially lethal drugs, responsible for thousands of hospitalizations and deaths before being banned in 2010. Once sold as mild to moderate pain relievers, Darvon and Darvocet are narcotic drugs made with propoxyphene and (in Darvocet’s case) acetaminophen, the active ingredient in Tylenol. They were also prescribed to migraine sufferers. Call to get help for a Darvon or Darvocet addiction today. 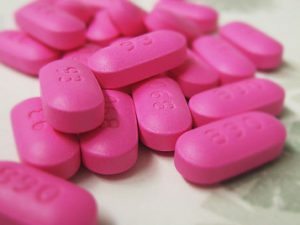 Due to multiple accidental and intentional deaths caused by the drug, the Food and Drug Administration banned propoxyphene-based products from further prescription in 2010. The FDA recognizes numerous alarming side effects in users of propoxyphene products including abnormal heart rhythms and seizures. Darvon, Darvocet and synthetic opioids like them may still remain in circulation. Darvon and Darvocet are controlled-release pills which begin dissolving into the bloodstream once taken by mouth. Slang terms for Darvon/Darvocet include pinks, footballs, 65’s and N’s. Even when consumed as intended, Darvon and Darvocet can be dangerous and addictive with severe repercussions. Darvon and Darvocet can enhance pre-existing feelings of depression and suicidal ideation. Darvon and Darvocet are central nervous system depressants, and when combined with other drugs, especially alcohol and other central nervous system depressants, there is a high likelihood of respiratory failure, seizures, coma, or even death. Addiction to opiates can develop quickly, marked by physical and psychological dependence on the drug. The Diagnostic and Statistical Manual of Mental Disorders outlines the criteria for an addiction to any substance. Learn more about recognizing an addiction today. Inability or unwilling to care for daily responsibilities, including paying bills, cooking dinner, or having difficulty at work, home or school. Breaking an addiction to Darvon, Darvocet or other propoxyphene-based drugs can be a difficult process, but recovery is possible with the proper resources and support. Treatment centers for these substances can provide both inpatient and outpatient options for coping with withdrawals and the psychological impact of quitting. Medically-supervised, inpatient detox is crucial due to the severity of withdrawal symptoms. While in detox, the programs are usually accompanied by group therapy and counseling to help the addict during detox and prepare them for the next phase of treatment, which is usually inpatient or residential treatment. There were approximately 20 million Darvon users before the drug was banned. There were approximately 16,000 hospitalizations involving Darvocet in 2008. Since 1981, an estimated 10,000 people have died due to overdose-related deaths while taking Darvocet. Prior to the FDA ban, the DEA listed Darvon as a top-ten abused drug in the U.S. Quitting propoxyphene-based substances can be extremely uncomfortable and trigger a relapse, or falling back into a pattern of abuse. Depending on your situation and needs, you may want to do a residential program or seek out support groups and individual counseling. The determination of what type of treatment each patient seeks should only be made by a substance abuse professional after a comprehensive evaluation of their needs. Recovering from a Darvon or Darvocet addiction might seem daunting, but with the proper encouragement and resources, you can take back control from this powerful substance. Finding a support group such as Narcotics Anonymous (NA) can help maintain focus and avoid relapse, and enable those in recovery to secure a same-gender sponsor and work the 12-Steps. Aftercare plans from a treatment center and working with an individual therapist upon completion of all levels of treatment care is also important. Recovery is more than just getting clean and sober. It is a lifestyle change. Begin moving forward today.